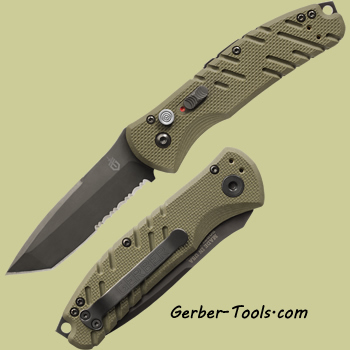 Gerber Propel Auto - OD Green, Black Oxide, Serrated Edge 30-001309. 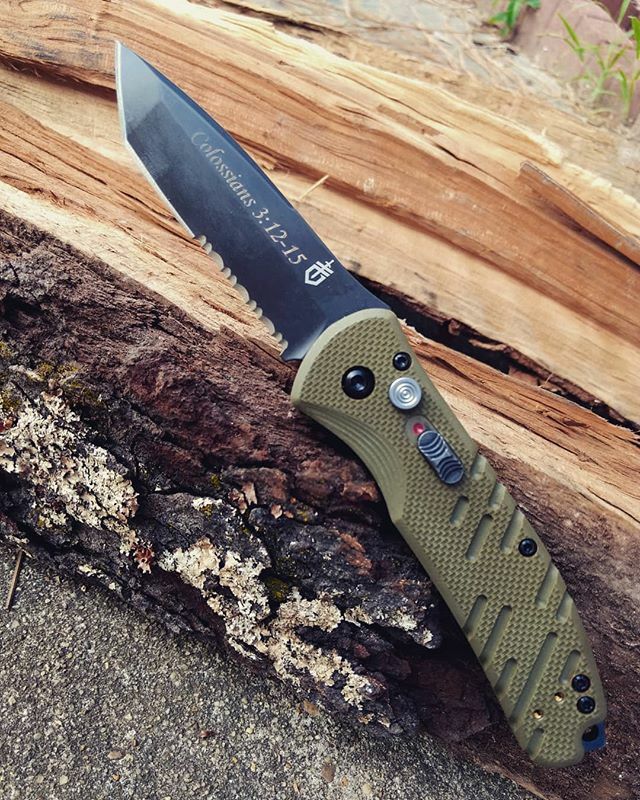 This automatic knife features one-handed blade deployment and an OD Green G10 handle. Handle end has a pommel and lanyard hole. 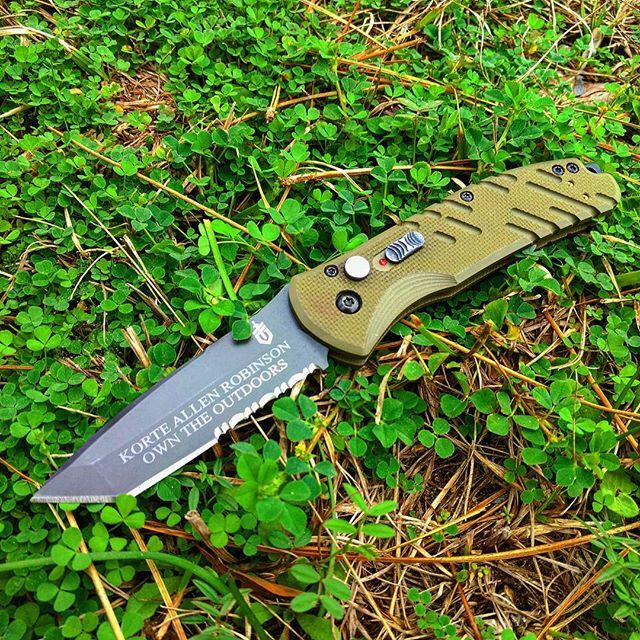 It utilizes a 3.5 inch CPM S30V Black Oxide steel blade and has an overall length of 8.52 inches. Made in the USA.